Smithsonian Affiliations offers two membership opportunities for participating Affiliate organizations. Both options provide ways to continue to engage with the Smithsonian in local Affiliate communities. Smithsonian Affiliates have the unique benefit of offering “two memberships in one”– the Affiliate’s organizational membership combined with a Smithsonian membership. Special discounts and offers apply. 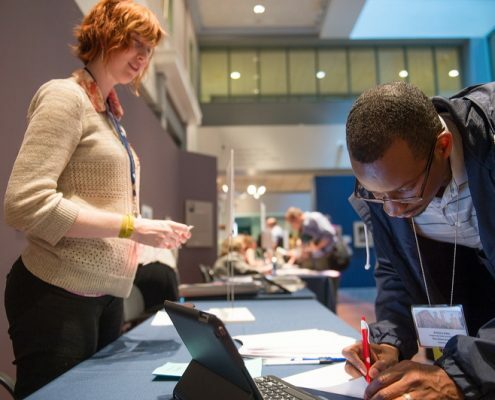 As an opt-in benefit, Smithsonian Affiliates are invited to join a national network which grants their members free admission at participating Affiliates across the country.